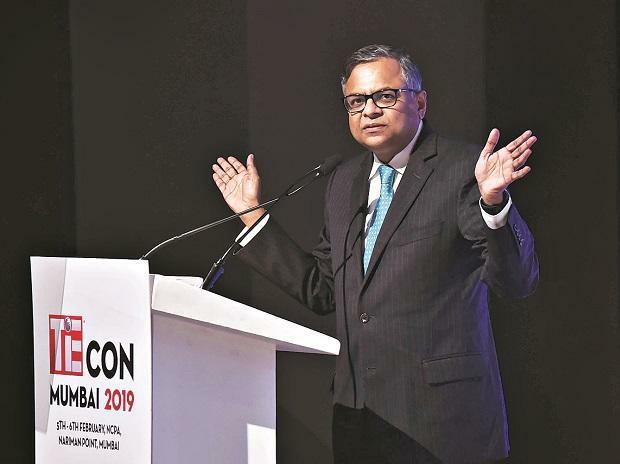 India faces the challenge of creating formal jobs and migrating people from the informal to the formal sector, said N Chandrasekaran, chairman, Tata Sons. He pointed out that creating jobs in the formal sector is a bigger problem than lack of jobs. The problem, he added, arises from the lack of access to services, including healthcare, education and financial services. Therefore, if the accessibility part is addressed effectively by going digital, it will lead to more jobs. Chairman of the $103 billion conglomerate, the largest employer in the private sector, he was addressing delegates from technology start-ups and the information technology sector at Mumbai’s TiECON, an annual flagship event. With the theme “unexplored,” the two-day conference is expected to be attended by over 2,000 delegates, including over 500 investors as well as more than 750 high potential start-ups. “It’s not so much about lack of jobs. We have jobs. The challenge is of creating formal jobs and migrating people from informal to formal, getting them jobs that offers decent pay. That’s the fundamental problem and requires lot more thinking,” said Chandrasekaran. His comments come amid recent reports of the unemployment rate in India rising to a 45-year high of 6.1 per cent in 2017-18. Only 15 million of the billion plus population of India are in organised jobs, said Chandrasekaran. Meanwhile, highlighting the skills gap between the two sectors, he said, within the 15 million-odd job holders, 60 per cent have secondary education and close to 95 per cent in the services sector have secondary or tertiary education. Therefore, all the skilled people belong to the 15 per cent pool and most people in the 85 per cent of the unorganised sector are less skilled and less educated. The wages of those in the 85 per cent pool are low — five times lesser than those in organised jobs, have lesser job security and no medical or retirement benefits. The two biggest issues of jobs and accessibility of quality services is an opportunity for technology start-ups, said Chandrasekaran. India is the third largest start-up base globally with close to 7,200 start ups having India as their base, said KPMG in a report on the start-up ecosystem in Maharashtra. Between January 2014 and Septem­ber 2018, close to Rs 37,700 crore is the total funding raised by start-ups in Mum­bai and Pune. Globa­lly, Mumbai was ranked the seventh largest in terms of growth in venture capital deals secured in 2015 and 2017 compared to the 2010 to 2012 period, said the report. Debjani Ghosh, president, National Association of Software Companies (Nasscom) said while India boasts of being the third largest base for start-ups, it is yet to make its mark in terms of being the best. “You can’t be the best at everything. You have to pick up your battle,” she said. Voice is the next big frontier in technology, she added, asking the start-ups to un-tap the potential in voice. “The steps being taken by start-ups in India are incremental and not exponential,” said Ghosh, pointing it’s time to give up the obsession with numbers and focus on developing a niche.